This summer has a set goal… I have to get rid of two piles of books in my living room. For a start I’d like to read these books. 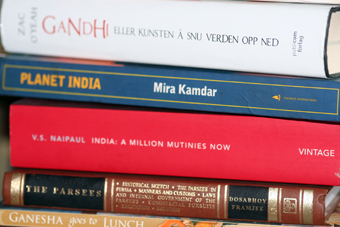 Secondly, I have to read them in order to justify new purchases on my next travel to Mumbai. The Indian joint family closely observed by two female writers. I had a whole week to myself recently, my agenda was full – but that was before I started Manju Kapur’s Home. I had just finished John Irving’s latest novel; Last night in Twisted River – 600 pages full of John Irving’s peculiar characters – but you tend to get wary of Irving’s many words en route. Maybe that’s way I picked a small pocket book with the modest title Home. Kapur was unknown to me and the story itself might not be “prize material”… Set in Delhi, it tells the story of three generations of an Indian joint family. And the Indian joint family facinates me with it’s tangle of mothers, fathers, in’laws, children, aunts, nieces, nephews…. where everybody has his/hers place in a distinct hierarchy. The novel centres about the female members of the family; like Rupa who is unable to conceive and Nisha who is a mangli (bad horoscope) and her struggle to get married after a love-marriage was denied her. Instead of doing all the things I had planned, I found myself constantly curled up in the sofa – hours after hours – together with Rupa, Nisha, Rekha, Raju.. a cup of tea, a glass of pepsi or an espresso….. 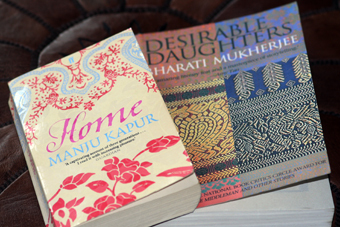 Even before I had finished the book, I had decided on the next one: Desirable daughters by Bharati Mukherjee. From the title I could tell that this was another novel about Indian family life. And from the author’s name I knew she was a Bengali writer. The book is mostly set in California, but tells the story about three sisters from upper class Kolkata (Calcutta) – and the many flash backs paint an interesting picture of a Calcutta nowhere near the misery of Mother Teresa’s Calcutta. And constantly reminds me that Kolkata is number one on my “travel-to-another-city-than-Mumbai” list…. From a literary pont of view, this novel is more substantial than Kapur’s Home. The three sisters have a complicated relationship, and the fact that the eldest has an illegitimate child that appears on the scene after being a family secret for 25 years, gives the book a certain tension and moves the story forward. Being just half way through the book, I know that this is an author I will explore further. I have several non-fiction books ready to read; the legendary City of Gold – The biography of Bombay by Gillian Tindall. A bit outdated perhaps, nevertheless a much quoted book. Secondly; Calcutta by Simon Winchester – because I’d like to go there during the literary festival in February every year. And then After the Raj by Hugh Purcell – because The British Raj has intrigued me ever since I saw the TV serial The Jewel in the Crown a lot many years ago. The adaption of Paul Scott’s novel is brilliant, and reminds me that I should read the book – not only watch it which I did again a year ago. 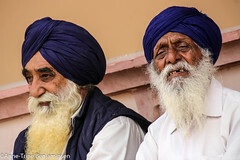 I can’t help it but I could have died to step back into history to be a part of The British Raj – no matter how horribly wrong it seems…. This is a feeling I have been fighting against for many years, still, it remains after many trips to India. This particular book tells story about the Britishers that didn’t escape India, after The Raj ceased to exist. 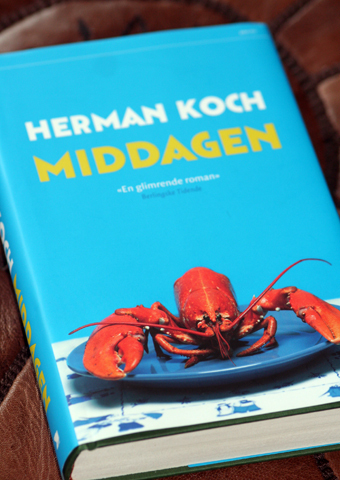 When I have left the Indian joint family (at least for now) I will go on with Herman Koch’s Middagen (The Dinner) and then In the Kitchen by Monica Ali. I had never heard about Herman Koch, but my most valuable source of book reviews; Norwegian financial paper Dagens Nærlingsliv praised it highly some months ago. Most of the time, there is only one book review pr week, on Saturdays, but their taste for books is great and I have bought many a book on their recommendadtion and thought; where else would I have read about this book…. Hopefully Monica Ali won't let med down! 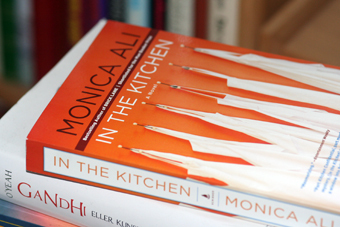 Monica Ali is famous for her novel Brick Lane, and her latest novel In the kitchen is supposed to be a follow-up to Brick Lane. A multi cultural hotel kitchen seems like the right place to be on a cool summer day in Stavanger because right now I can’t envsion myself lightly dressed with a book on my veranda! More so under a rug with a hot cup of tea….